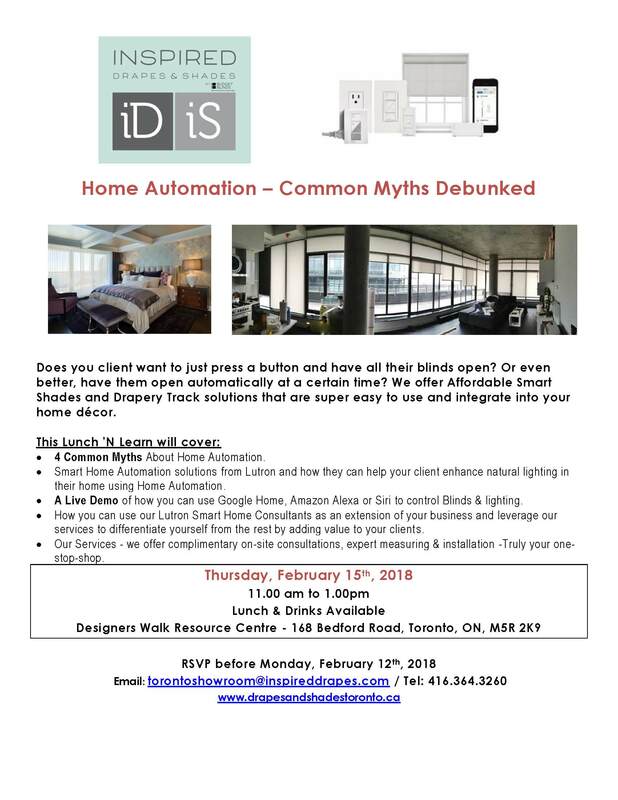 Join Inspired Drapes & Shades for an informative session about the latest in home automation for window treatments. See invitation for details. RSVP to torontoshowroom@inspireddrapes.com.